Just off the promenade, New Phildene Hotel provides good breakfasts and free Wi-Fi in some rooms. Blackpool Pleasure Beach and Blackpool Tower are 500 metres away. The friendly New Phildene Hotel has a well-stocked bar, 2 sun lounges and a games room with pool table. There is a bar lounge where a traditional menu is served. New Phildene Hotel’s rooms have Freeview TV and tea/coffee. 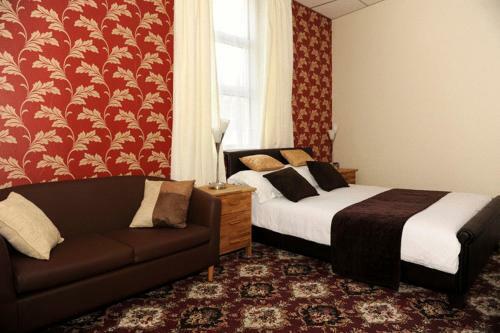 Blackpool South Rail Station is a 10-minute walk away. Limited free car parking spaces are available.